A Bognor care home has spoken out after one of its former workers was jailed for stealing from disabled residents to fund his gambling habit. 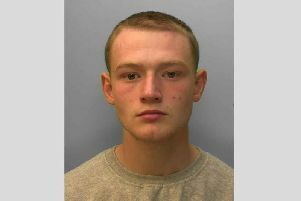 Care worker Scott Mills was told to repay almost £2,000 when he appeared at Worthing Magistrates’ Court yesterday. The judge said Mills targeted two vulnerable residents at Ashley Place care home in Kings Parade in a ‘gross abuse of trust’. The court heard how he used the money for online gambling, as well as paying for ‘luxury items’ and a Sky subscription. Liz Mell, executive director of Livability, which runs the care home, confirmed that Mills had worked at Ashley Place and was fired in May last year following an investigation. She said: “Livability are pleased that the hearing and sentencing of Scott Mills has been reached. We take matters like this very seriously.